This getting promoted article isn’t going to teach you any short cuts to getting that promotion. Neither is it going to give you any tips or tricks to win brownie points from your bosses and superiors. 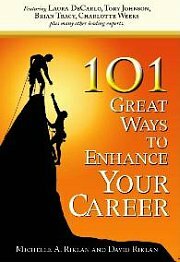 The advice you will get here are my real strategies for advancing career and getting the promotion you want. This is the long way, and the hard way, if you will. If you are here looking for short cuts to a promotion then this article probably is not for you. But this much is true; these strategies worked for me. It will work for you if you are willing to clock the hours. Even if today is your first day at work, I am sure you are thinking about that promotion. Getting promoted is often the ultimate goal for any working person. The strategies here gives you a set of values that will carry you far. Not just for the next promotion but for many more promotions to come. I call these the 3Hs Strategy for Getting Promoted. The 3Hs are Honesty, Humility and Hardworking. These work values once you internalize them will dictate how you approach people and your work. And when done joyfully will even seem effortless. So, there is no need for shortcuts, tips, tricks and hints for getting that promotion. Practice honesty early on in your career. Being honest also means being true to yourself. Know what are your real strengths and weaknesses. And be honest with yourself. This honesty creates an awareness of what you can truly work on in getting promoted. Honesty is also being true to others. It means being genuine and sincere in all your undertakings in the company. Do not go around politicking and back stabbing people knowingly or unknowingly. These can become a bad habit and before you know it, it would hurt your career advancement. You probably wouldn’t even notice that this habit hurts chances of getting promoted. Honesty also means conducting your work with integrity. If you made a mistake at work, admit to it. You gain more respect from your colleagues than hiding behind it, hoping that no one finds out. Anyone with high personal standards would not want to get promoted by taking credit for someone else’s work. Honesty here is to give credit where credit is due. Admit to the good work you contributed but do not hoard the glory that you had no part in. My grandparents used to say, if you want to know if a child will meet with a lot of benefactors in his/her life, then see if the child is humble. The logic is that if a person is humble, then that person is more likely to meet someone who is willing to help in times of trouble. This wisdom rings true today even in the workplace. Ask yourself, how many times have you wished for that cocky colleague in your office not getting promoted? In fact, you probably did not even offer to help that colleague in times of trouble. As a career newbie or even as a veteran, humility goes a long way in helping you getting promoted. People go out of the way to help those who are humble. When you have the skills and knowledge, yet remain down to earth bosses gravitate towards you. It helps you getting promoted in the long run. Treat colleagues with humility regardless of designation. Everyone has a role in the workplace and each deserves being treated with respect. I am a big believer in working hard. Being hardworking means doing the best and completing every task properly. Do not take any shortcuts and do not think that working smart means there is no need to be hard working. Even when you work smart, maximum effort is needed. If you think that getting promoted is about working smart, then think again. Maximum effort is working hard. To be constantly working smart and not give up on the idea of consistency is to be hardworking. In that sense, bosses look for people who are hardworking. Someone who is consistently delivering the results towards achieving the company’s objectives. Regardless of how you look at it, getting promoted involves consistent hard work. If you are looking at getting promoted, try the 3Hs Strategy for Getting Promoted. Higher positions need people who have high personal standards, hence honesty is important. Humility is important as you move up the corporate ladder. This is because you need to motivate staff and not intimidate them. You gain respect rather than fear. Someone who is hardworking has the tenacity to see that work gets completed in the best possible fashion. These strategies ensure that your career advancement can be sustained regardless of rank. Long Yun Siang or Long, as he is popularly known runs http://career-success-for-newbies.com with his wife Dorena as their way of paying it forward. Their website – based on their real life experiences - provides tips, tools and advise for newbies pursuing career success. What are the 10 basics you can start doing today to be promoted?.